It was a painful yet significant event that allowed me to take a closer at the missing steps of how I am creating my life going forward. What I wrote below referencing an article that I had come across in early July seems even more significant now. Michael Forrester, a spiritual counselor, and practicing motivational speaker for corporations in Japan, Canada and the United States, writes that you are not alone if you have unexplained symptoms of physical or emotional pain, including feeling lost, disconnected, and perhaps without passion or purpose. Or if you have a sense of purpose you may not know the best most effective steps for manifesting that purpose. He goes onto assure us that we ARE on a path of self-discovery and that we are all riding a wave of new energy. All the powerful Celestial occurrences over the past many years and recent months that are continuing into the months ahead concur. It may help to remember we are informing the mysteries as much as they are informing us. It is a relationship and our intentions and actions are the manifest expressions of these energies and we always have choice in how we express them. However, we also may be feeling unusual symptoms of transition as we continue on the journey of planetary ascension – even though it may not feel like that is what is happening. Michael writes that we are still seeing a lot of illusions in the world and that can conflict with what our hearts know is true. A helpful strategy is to listen to our heart knowing and trust this process of divine unfolding even when it doesn’t make rational sense to us. We are collectively dreaming a New Dream that includes planetary ascension whether we are aware of it or not. As Dorothy in the Wizard of Oz would say, we are not in Kansas anymore. We are not in the same reality we once were, so it is easy to understand why we might find ourselves outside of our comfort zone. If you find technology is acting wonky it may be due to the amped up electrical energy both inside and outside of you. If you are finding fluctuations in your sleep and other bio-regulated patterns along with other uncomfortable physical symptoms such as unexplained joint pain, headaches, changes in your heart rate, blood pressure, blood sugar etc. this may simply be related to the increase of light energy beaming onto the planet at this time. 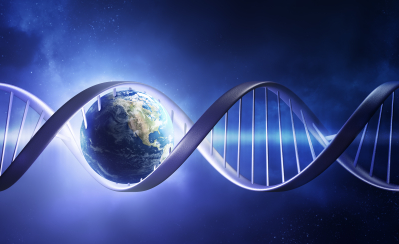 My favorite part of the article was about recoding our DNA as it relates to our cellular structure in ways that are designed to literally upgrade any lower vibrational frequencies so we can handle the influx of higher vibrational frequencies that are already here. Rather than focusing on the discomfort he recommends focusing on clearing and realigning your energy. Another way to think about this is to accept what is and trust this is a natural process that is unfolding in the easiest, most gentle and best way possible. For those who are holding on to old fear based programs, fearing what will happen, especially if you have concluded the world is doomed so you are too, this will be a much more challenging time. We have the power to choose how we direct our conscious energy, so when we find ourselves fearful, discouraged, frustrated, etc. it is the best possible time to practice gratitude for what we know is not only good, but also great, in our life. When we are consciously directing our energy it helps to reprogram and redirect unconscious programs that are no longer useful or helpful. Rather than focusing on what the media says is happening in our world, focus on what wonderful new dream you are creating for yourself. This isn’t about being in denial about world events but rather it is about where your mental and emotional focus is going. …Come to terms with how important your life is right now on the time space continuum. You are on the Earth at possibly the best time EVER in the history of the human species. You are integral in the consciousness equation moving forward and you’re inspiring others in ways you cannot imagine. Any feeling of insignificance, disconnection, fear, anger, loneliness are simply illusions because you are nothing but significant, connected, loved and could not be alone if you tried. You complete the Earth and you matter…and never think for a second that your contribution, no matter how small, is not important, because it is significant. I love synchronicity. So after completing writing this introduction I was sent a link to this book that goes into greater depth about the two waves of light energy, one that is dismantling or dissolving the old dysfunctional energy fields so that everything that is not aligned with this new energy is disappearing. The other energy wave is activating new possibilities as our consciousness continues to grow and evolve. This is exactly what is meant to happen during the Turning of the Ages, so we are right on track. You can read more about The Shift by Jim Self HERE. Thanks for this, feeling like i haven’t belonged, alienated for so long, hope i am contributing for the better. Thanks again needed this right now.